Podcast: Business Insurance Q&A | Not Another Brittany! After being swept up in the excitement of moving overseas, I’ve finally (finally!) had a chance to finish editing this Business Insurance Q&A interview with insurance specialist, Izabela Rowe. As part of my business coaching service, I also run a free Facebook community for new and aspiring business owners. 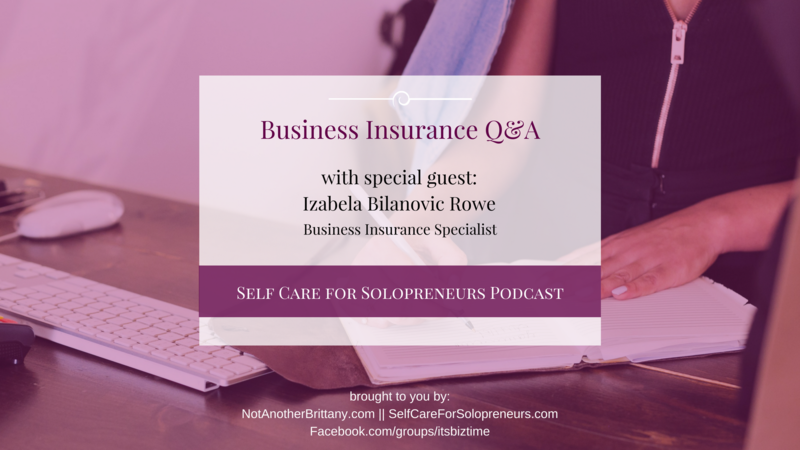 In our group, many of the members have questions about business insurance – so Izabela was kind enough to answer some common questions just for our group. I shared a video interview exclusively to the Facebook group and I am sharing in podcast format here. If you’ve been wondering whether you need business insurance, this podcast is for you. Please join the group for a free quote or have any questions for them. You can also leave a comment below and I will get you an answer as soon as I can. Hope this helps you!